In his review of Snow Leopard, Walt Mossberg of The Wall Street Journal, Mossberg reveals that those who have been hesitant to upgrade their Mac will be able to take advantage of Snow Leopard’s bargain price, without the need to install the intermediate Leopard operating system first. Please note, that only Apple OS X Leopard users are eligible for the Snow Leopard upgrade. Tiger & earlier OS users will need to purchase either the upgraded Mac Box Set (approx. 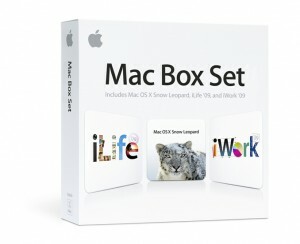 $184, which includes Leopard, iWork, and iLife), or just Leopard + Snow Leopard Upgrade (approx. $160). Also, Snow Leopard will only run on intel-based Mac computers. 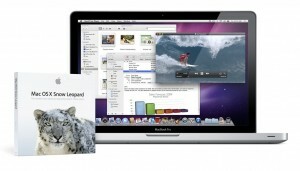 Apple announced the release of Mac OS X v10.6, Snow Leopard. Mac OS X Snow Leopard is a powerful and refined version of the world’s most advanced operating system, Leopard, with hundreds of refinements, out-of-the-box support for Microsoft Exchange, and core technologies that take advantage of the powerful hardware in every Mac. and host websites, wikis, and blogs. Mac OS X Snow Leopard ships on August 28. See the attached image for Snow Leopard Upgrade requirements. If you recently bought a new Mac, your cost may be as low as $9.95! Snow Leopard Server Unlimited Client Edition is only $$499. Take this opportunity before the End of Summer rush to MACximize your Macintosh before implementing Snow Leopard. As always, MACximize Consulting is ready to help you in any way we can. Your Mac will thank you!